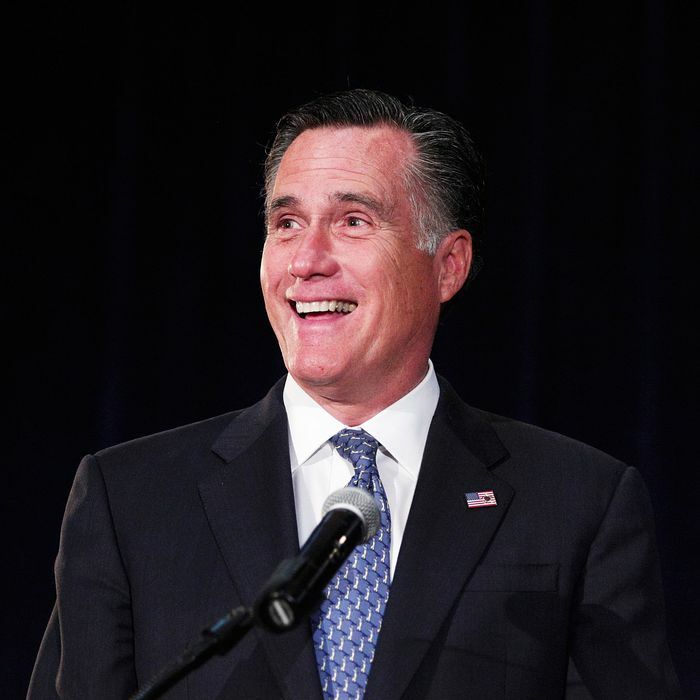 A few weeks after Mitt Romney dined on frogs legs with Donald Trump and made meme history, Roger Stone claimed that the president-elect only interviewed Romney for secretary of State because he wanted to “torture him.” A year later, the former Trump adviser’s claim seems pretty credible; now that Romney is eyeing a run for the Senate in Utah, both the president and Steve Bannon are reportedly looking to undermine him. Earlier this year 83-year-old Utah senator Orrin Hatch said he’d consider retiring in 2018 if he could find someone “really outstanding” to run for his seat, and called Romney “perfect” for the position. Romney has reportedly been gearing up for a run, but now Hatch is dragging his feet — and Trump is encouraging him to run for an eighth term. Politico reports that Trump has been telling friends he doesn’t want to see Romney in the Senate, and on Monday he’ll make a big show of support for Hatch. Trump and the senator will take Air Force One to Salt Lake City, where the president will sign an executive order announcing he will reduce the size of Utah’s Bears Ears and Grand Staircase-Escalante national monuments, which Hatch has been pushing for. Trump’s opposition to Senator Romney isn’t that surprising. Despite delivering a passionate anti-Trump speech during the primaries, Romney has occasionally praised Trump’s work as president. However, he’s also criticized Trump enough to get under his skin; Romney called on Trump to stay in the Paris climate agreement, blasted his response to the violence in Charlottesville, and undermined Trump’s response to the Roy Moore scandal. Trump is not hindered by ideological considerations, but his former strategist is. According to the Washington Examiner, Bannon is considering endorsing Hatch — a Mitch McConnell loyalist who’s been in D.C. since 1976 — though he can’t stop declaring “war” on the GOP Establishment. “If Steve had a choice between Orrin Hatch and Mitt Romney, he would pick Hatch ten times out of ten,” a source close to Bannon told the Examiner. It seems unlikely that many Utahns are waiting breathlessly to see who Bannon thinks should be their next senator — or Trump for that matter. Trump received just 46 percent of the vote in the heavily Republican state, with independent Evan McMullin taking 22 percent of the vote. In poll conducted two months ago, 75 percent of Utahns said Hatch should not run again, and Hatch came in third in a theoretical 2018 Senate race. The winner by far: Mitt Romney.